Candles were lit outside the home which was the place where horrific abuse led to the little girl’s death. Twelve days before her fourth death anniversary, the late baby’s mother was convicted to 20 years imprisonment for her brutal death. 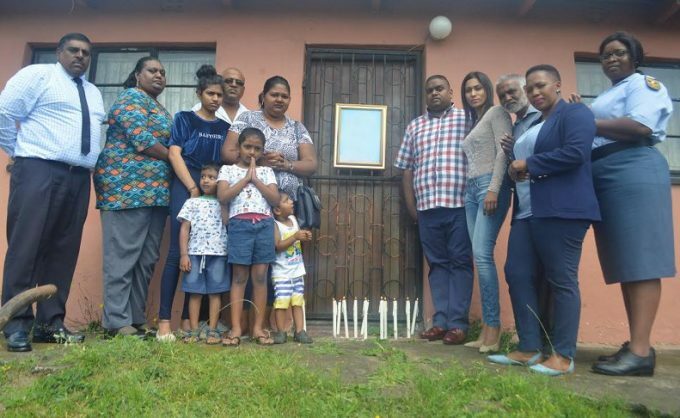 Former ward 69 councillor and community activist Brandon Pillay, together with Bayview police officers and media personality CJ Benjamin, held an informative talk at Evergreen Primary School in Havenside, KwaZulu-Natal, in memory of Baby X on her fourth death anniversary on November 20, reports Rising Sun Chatsworth. A candle lighting ceremony was also held at the dilapidated home in Imperial Drive where Baby X was found dead in 2014. 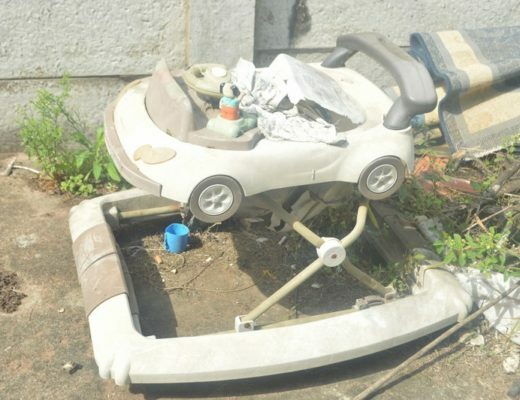 Lying outside the vacant house was an old cot and walking ring, which weathered the storms since the arrest of Baby X’s mother and grandmother a few hours after the toddler was pronounced dead by paramedics in the lower bunk bed, which she was often tied to while she slept. 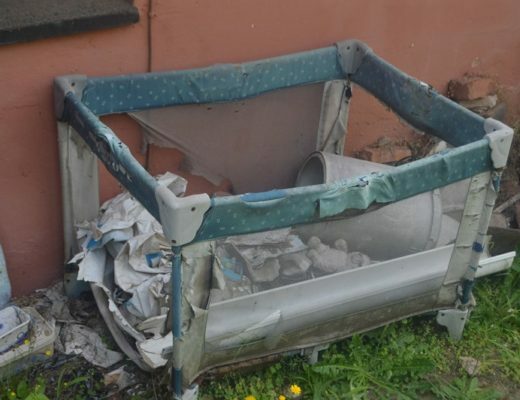 An old cot was found lying outside the Havenside house. Twelve days before her fourth death anniversary, her mother was convicted to 20 years imprisonment for her brutal death. She was found guilty on 17 counts, including murder, child abuse, neglect, and failure to provide medical assistance to Baby X and her siblings, who were also victims of abuse at the hands of their mother and grandmother. Baby X’s grandmother was also charged with several counts of abuse and murder in cahoots with her mother but passed away from natural causes while awaiting trial in Westville Prison. Lying outside the vacant house was an old walking ring. Brandon Pillay, who initiated and organised the memorial, said they made a strong call to welfare agencies and social workers to ensure that there were ongoing monitoring and early detection of abuse cases which had to be dealt with immediately to avoid any future occurrences of this nature. “We remember the innocent life of this baby, especially during the month of November, when her life was so prematurely taken away from her, and send a strong message to our children that we will do everything in our power to protect them,” he added.